Pan-African telecoms group Liquid Telecom, a subsidiary of Econet Global, and Intelsat S.A. (NYSE: I) have announced a new agreement that will introduce high performance Intelsat EpicNG satellite services into the Liquid Telecom network. 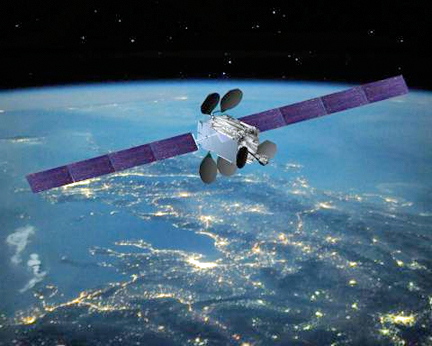 As part of the new, multi-year agreement, Liquid Telecom has committed to dedicated services on the Intelsat 33e satellite, which began operations earlier this year. The solution features ground networking equipment based upon the Newtec Dialog VSAT platform, including technology developed under the ESA-funded Project Indigo announced previously by Intelsat and Newtec. By taking advantage of Intelsat's high-throughput satellite (HTS) solutions, Liquid Telecom will be able to deliver more bandwidth with greater efficiency to meet the growing needs of businesses across Africa. The new Intelsat EpicNG services will expand Liquid Telecom's coverage and network capabilities across the Democratic Republic of Congo, Kenya, Malawi, South Africa, Tanzania, Uganda, Zambia and Zimbabwe, where demand has grown for VSAT technology to deliver connectivity to underserved remote or rural areas. Intelsat 33e, the second in the global Intelsat EpicNG HTS fleet, is a next-generation, high-performance satellite that delivers improved performance, better economics and simplified access for satellite service providers such as Liquid Telecom. Designed as a complementary overlay to the world's largest fixed satellite network, Intelsat EpicNG is backwards compatible with Intelsat's existing global satellite fleet of approximately 50 satellites and is connected by the global IntelsatOne terrestrial network. Furthering the relationship between the companies, Liquid Telecom has been awarded a three-year contract from Intelsat to provide fiber backhaul and uplinking services from its South Africa teleport that will be integrated into the IntelsatOne network as Intelsat extends its managed services platform into Africa. The gateway service will enable Intelsat to accelerate the introduction of Intelsat EpicNG services, building on its leading position in the broadband and enterprise sectors.